One good and easy way to learn and practice Spanish is watching a Spanish movie, series, or TV programming. For this reason, I decided to write this post about the top Spanish movies from Spain that are currently available on Netflix. When watching a movie, you especially practice your listening and pronunciation skills and learn new vocabulary, expressions, slang, and culture. In addition, you learn and practice the language in a more fun way compared to attending classes or using textbooks. I would recommend turning the subtitles on if you are a beginner. However, once you get to a certain level of Spanish, turn them off. Push yourself and try to understand the plot and scenes through the context, images and the few words or sentences you can comprehend. Below, you will find the 10 top Spanish movies on Netflix to learn and practice Castilian Spanish. Pan’s Labyrinth (El laberinto del fauno) is a drama fantasy war movie from 2006. It was nominated for and won several awards, including seven Goya awards and three Oscar awards. Fun fact: The English subtitles were translated by the director of the movie, Guillermo del Toro, because he didn’t like the subtitles of his previous Spanish movie. The movie takes place in Spain in 1944 during the Francoist dictatorship, and tells the story of a sadistic army officer’s stepdaughter who escapes to a magical and fantasy world. You will pick up some war and fantasy vocabulary. Also, you will see a piece of Spanish history: the dictatorship years. The Invisible Guest (Contratiempo) is a crime mystery thriller movie that first aired in 2017. It became the most watched Spanish movie in China and the largest ticket selling Spanish movie abroad in 2017. A successful businessman, who wakes up in a room of a hotel, is accused of murder. With the aid of the best defense attorney, he has less than three hours to come up with a good defense. Beside learning general vocabulary, you will pick up some police and crime vocabulary. In addition, the movie mainly takes place in Barcelona and the Catalan Pyrenees. Therefore, be ready to enjoy the beautiful views of Barcelona and a part of the Catalan Pyrenees, Vall de Nuria (Girona). Even the Rain (También la lluvia) is a 2010 drama movie. It was nominated for and won several awards, including three Goya awards. In addition, it was chosen as Spain’s foreign-language Oscar entry. The movie follows a filmmaker and his crew who go to Bolivia to film a historical movie about the arrival of Columbus and the Spaniards to the New World. During the shooting they will get involved in controversy when protests start due to the privatization of the water supply. As the riots escalate, they face the tension that rises among each other. Beside practicing Castilian Spanish, you will get familiar with Spanish from Bolivia, Mexico and Argentina. Also, you will hear other languages, such as Quechua and English. In addition, you will learn about a piece of Spanish history: Spanish colonization. 100 Meters (100 metros) is a 2016 comedy and drama movie based on a true story. The movie and its actors were nominated for and received various awards, including a nomination for the Goya awards. The movie is based on a Spanish man who is diagnosed with multiple sclerosis and decides to participate in an Iron-man. Also, it follows the relationship between him and his father-in-law. You will learn a few things by watching this movie. First, some colloquial Spanish and a few cuss words. In addition, beside learning general vocabulary, you will also pick up some medical and sport words. Finally, you will hear how the Basque accent sounds thanks to the character who plays the father-in-law. Additionally, the movie takes place in Barcelona, so you will get a little familiar with the Catalan city and its surroundings. Palm Trees in the Snow (Palmeras en la nieve) is a 2015 romantic drama movie based on the novel that was wrote by Luz Gabás. It was nominated for and won a few awards, such as two Goya awards. The movie focuses on a family from Huesca (Aragon, Spain) in the 1950s-60s, who goes to an island of Equatorial Guinea during the time when it was a Spanish colony (Spanish Guinea) until it became an independent country. At the same time, it follows a young woman in the present, who goes to this island in order to find out more about this family, which are her ancestors. Once there, she discovers the past and some dark secrets. Along with other local languages, you will hear a unique dialect called patués, which is spoken in Benasque Valley of Huesca, and the variety of Spanish spoken in Equatorial Guinea. Beside learning and practicing Spanish, you will learn a piece of Spanish colonial history. Fun fact: Did you know that Equatorial Guinea is the only country in Africa that has Spanish as an official language? Smoke and Mirrors (El hombre de las mil caras) is a 2016 thriller movie based on the non-fiction book Paesa, el espía de las mil caras by Manuel Cerdán. It was nominated for and won several awards, including two Goya awards. The movie is based on a true story. It follows Francisco Paesa (a former secret agent for the Spanish government). He gets involved in a blackmailing case and has to run away from the country. When he returns to Spain, the former Commissioner of Police, Luis Roldán, and his wife offer him a good deal to save millions of dollars of stolen public money. From this, Paesa sees an opportunity to get revenge against the government. Beside learning general vocabulary, you will also learn some specific vocabulary about topics such as, money laundering, corruption, embezzlement or evasion of funds. Also, you will learn about one of the biggest corruption scandals in Spain. Sunday’s Illness (La enfermedad del domingo) is a 2017 drama movie. In my opinion, It stands out for its slow pace and the abundance of silence. The movie takes place in the French Pyrenees and tells the story of a reunion of a woman with the daughter she abandoned 35 years ago. After finding her mother, who has become upper-class, the daughter asks her a strange request: to spend 10 days together. You will easily practice your listening skills because the characters speak clearly and slowly. In addition, you will notice the Argentinean accent of the woman’s husband. Beside Spanish, you will also hear French. The Lighthouse of the Orcas (El faro de las orcas) is a 2016 drama movie that takes place in Patagonia, Argentina. The movie is based on a true story. It tells the story of a woman from Spain who travels to Patagonia in order to help her autistic son. She believes that orcas are the key to help her son connect with his emotions. Beside practicing Spanish in general, you will get familiar with Spanish from Argentina. The Fury of a Patient Man (Tarde para la ira) is a drama thriller movie produced in 2016. The movie was nominated for and won several awards, including four Goya awards. A man is released in Madrid after spending eight years in prison. He wants to start a new life with his wife and son, but an encounter with a man will change his course. The language in this movie is very colloquial and sometimes not very proper. Thus, you will learn a lot of slang and pick up several cuss words. In addition, you will hear a very noticeable Andalusian accent from a couple of people. Spanish Affair 2 (Ocho apellidos catalanes) is the sequel of Spanish Affair (Ocho apellidos vascos). It is a Spanish romantic comedy from 2015. Soon after its release, it became the biggest box office draw in Spain in 2015. The main characters of the movie (a Basque woman and a Sevillian man) broke up and now, the Basque woman is about to marry a Catalan man. The father of the woman wants to stop the wedding with the help of the Sevillian. Although this movie does not have very good reviews, from my point of view it is a good movie if your purpose is to learn about Catalan culture and you have been following the Catalan separatist movement. 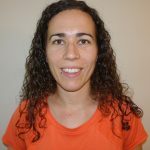 Additionally, you will get familiar with different accents, including: Basque (above all from the woman’s father), Andalusian (from the Sevillian) and Catalan. Finally, you will pick up some words in Catalan, Spanish slang and a few Catalanisms that are used in Catalonia. 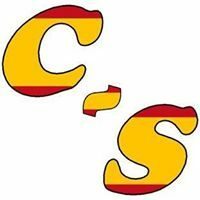 I hope I have made it easier for you to learn and practice Castilian Spanish with this list of the top Spanish movies. A great activity I suggest after watching a movie, is to discuss the plot and details with someone else. By doing so, you can comprehend better the story and work with the vocabulary and expressions you have heard. Along with other activities, this is one that I usually use during my online Spanish conversation classes. Have you watched any of these movies? Which one did you like the most? Let us know other movies you consider as top Spanish movies at the comment section below.